As a mechanic, Orlando Ochoa knows firsthand how important it is that he knows how to perform his job. 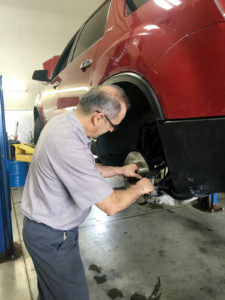 As a small-business owner, he also understands the need to stay up to date with the newest vehicle mechanical systems in order to provide the best service to his customers. That’s why Ochoa, who owns Orlando’s Automotive in Johnston, attends several trainings each year to educate himself. We provide answers to the three main questions small-business owners have about educating themselves and providing professional development opportunities for their employees. each year to educate himself about new vehicle mechanical systems. The short answer is everyone, from the owner to the newest hire. 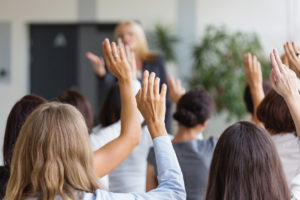 And education doesn’t just help the employee; it benefits the employer, as well, according to Training magazine, a professional development resource. before he started his company in 2014. It helped him in the areas of sales, customer service, understanding profit and loss, and budgeting. couple sells and relied on his previous business experience to launch the businesses. season — to review their jobs for the day and discuss any maintenance issues, techniques or product questions they might have, and anything else that needs to be addressed. Goering spends one-on-one time training each of his employees but continues to work with them daily to educate them on various issues. business or to start a business. This includes information about DMACC’s high school equivalency test, English as Second Language classes, access to Spanish-speaking counselors and mentors and entrepreneurship, accounting and business administration courses. Once the business owner determines what training is needed, then he or she can find what options are available. Local higher educational institutions may have specific continuing education programs for small business owners. Many of the non-credit certificate programs are created based on requests from business owners, says Mike Hoffman, the executive director of continuing education for DMACC. Other business owners may not have the necessary basic skills to operate a business. DMACC offers a variety of continuing education programs for business owners and their employees. offers employees a variety of ways to learn and enhance their teaching skills. Some of the more popular courses are the ones about QuickBooks and Microsoft Office programs including those about Excel, says Julie Bundy, DMACC’s coordinator of continuing education. There are three levels of classes: basic, intermediate and advanced. Each course is one day. DMACC also works with SCORE, a nonprofit that educates entrepreneurs and small-business owners on how to start, grow and succeed in their business, in a course called SimpleSTEPS for Starting Your Business. The course gives business owners or entrepreneurs information about how to improve their business practices or learn about marketing, tools and templates that can help their business, she says. DMACC will offer another nine-month leadership series in January, which includes one course each month about a different topic. The course is promoted as a way for business owners to help develop their employees into leadership positions. Course topics include an introduction to management, how to have difficult conversations, and other issues a business leader may face. Bundy says this course would be good for a business owner/manager or for certain employees who may have specific development needs. DMACC courses range in cost from less than $100 to more than a $1,000. If the business can’t find a higher education program that fits its needs, another option is individualized certificates for employees based on their area of expertise. For example, the Association for Talent Development, a nonprofit that serves those who develop talent in the workplace, offers memberships and certificate programs. 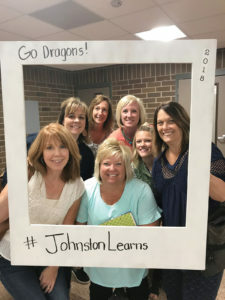 The Johnston Community School District takes part in a state grant that has allowed it to implement a teacher leadership system where instructional coaches and teacher mentors work with other teachers to improve their classroom instruction. Each week, the district also has a one-hour early out on Wednesdays. During that time period, each building’s administrator directs professional learning for his or her own school. Johnston school leaders also schedule seven full days of professional development for teachers. Teachers are paid for their attendance at professional development trainings or days. The district also reimburses teachers who have a bachelor’s degree and pursue a higher degree or additional certification/training. They can receive up to $900 a year for a higher degree and up to $600 a year for additional training or certification. 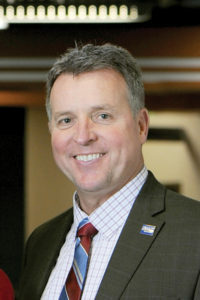 Mike Hoffman is the executive director of continuing education at Des Moines Area Community College. Experts say tuition reimbursement shows the employee that his or her employer is vested in creating a future for the individual at the business. Any tuition reimbursement program will need to have specific guidelines about what types of classes the employee must take in order to receive reimbursement, as well as information about any limit on classes or maximum reimbursement and requirements about when the employee must take classes. When Goering first started his business, he attended trainings hosted by the company from which he buys his products. Since then, he’s used YouTube videos and tried different staining techniques on his own in order to learn more. In addition to YouTube videos, business owners can utilize free online courses through the U.S. Small Business Administration. There may also be free seminars or guest speakers. If the business owner belongs to a local chamber of commerce, the chamber might host webinars or other learning sessions. Ochoa, the owner of Orlando’s Automotive in Johnston, relies on classes from auto part manufacturers, vehicle dealerships and online trainings to learn more in his profession. He spends anywhere from several hundred dollars to $1,000 or more for each training. Goering says knowledge of his products allows him to provide the best service to customers whether it be through the deck staining business or Brightline Custom Designs, which he and wife, Ashley, started in October 2017. He took Internet classes to learn about the blind products they sell and install as a requirement from the product vendor. “They definitely want you to have the product knowledge with the information on how to install the blinds the right way,” Goering says. Johnston administrators provide teachers with the most professional development opportunities they can, Sprague, the district’s communications director, says.